The causes and treatments of LUTS in men, including what to advise patients, prescribing, when to refer to secondary care and when a PSA test should be offered. The term ‘lower urinary tract symptoms’ (LUTS) has replaced ‘prostatism’ to describe obstructive and irritating voiding disturbances that occur in men as they age. In the UK, approximately 3.4m men experience LUTS. In general, prevalence and severity of male LUTS increases with age.1 Over one third of men aged 50 years or over have moderate to severe symptoms of LUTS. Most men with LUTS can be effectively managed in primary care. There are numerous causes of LUTS, the most common being benign prostatic enlargement. However, many studies have shown that not all male LUTS are associated with prostate pathology and that the bladder plays a part in the development of LUTS (especially in storage symptoms). Symptoms can relate to voiding, storage or post-micturition. Voiding symptoms are the most common, but storage symptoms are the most bothersome. About 40% of men aged 75 years or over have storage symptoms. Isolated storage symptoms are most commonly due to an overactive bladder. Symptoms vary between patients and there is often no correlation between the symptoms of LUTS and the actual diagnosis. It is vital to assess how bothersome symptoms are to each individual patient. Some men may have very mild symptoms, which are affecting the quality of their (and often their partner’s) life, whereas others have many symptoms but are not particularly bothered by them. Patients with LUTS should have an abdominal examination performed, including a digital rectal examination to assess the prostate. Examination should also include assessment for a palpable or percussable bladder and a genital examination to look for meatal stenosis, phimosis, or hypospadias. Any reversible causes of LUTS should be determined (for example, use of diuretics). A bladder diary is often very useful. This involves patients recording the time and volume of each void and also the volume, type and time of fluid intake. This should be completed for at least three days. Urinalysis to detect blood, glucose, protein, leucocytes and nitrites should be performed in all patients. U&Es are not routinely recommended, unless renal impairment is suspected. 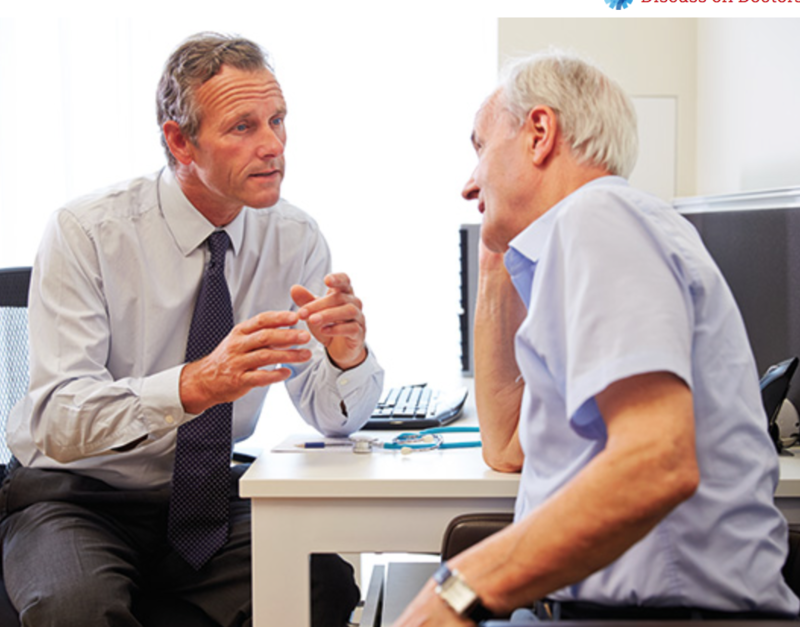 NICE recommends that PSA testing should only be offered to men with symptoms suggestive of bladder outflow obstruction secondary to benign prostatic enlargement, if the prostate feels abnormal or if the patient is concerned about prostate cancer.3 It is important that patients are adequately counselled about PSA testing prior to having a test. Other investigations, including uroflowmetry, post-void residual volume and transabdominal ultrasonography, are not recommended by NICE.